Quality assurance and standardization of pharma products and services is watch word for Genesis Biotec .With a view to have quality assurance we undertake to manufacture high quality pharma products picked from the pharmacologically standardized martial available in the market.. Welcome to Genesis Biotec Inc. In the present scenario of pharma industry, GENESIS BIOTEC is a best pharma company in chandigarh who has an emerging pharma group. It is having GMP & ISO 9001-2008 certification. Its factory Trugen Pharmaceuticals Pvt Ltd is situated at the foothill of Shivalik at Roorkee,having a clean & pollution free atmosphere. The idea was conceived in the year 2002 by the worthy M.D. 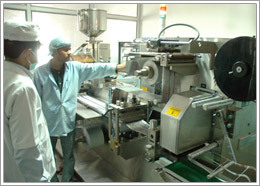 Mr. Hardeep Singh with the Motto that we have to serve the HUMANITY with QUALITY products. 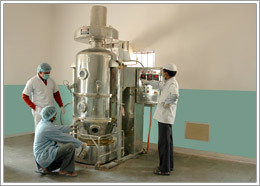 As a result 'M' Schedule Unit was set up with no human touch technology. The unit has a unique system of control check and compiles with WHO GMP strictly.